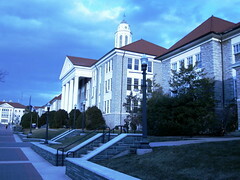 Here is another shot I took at James Madison University during a recent visit. As I mentioned last week, I start teaching political communication there this fall and we are moving out to Harrisonburg, Virginia next month. Congratulations on your new position.